It doesn’t have to cause resentment! Adding a sibling can be a rough transition for the whole family, especially for children. You may imagine how fun it will be to see your kids playing and exploring the world together, but when the new addition actually arrives it can be a tough transition! This week I’d like to introduce to you two families with two different experiences and how they worked ahead of time to help smooth the addition of a new sibling. 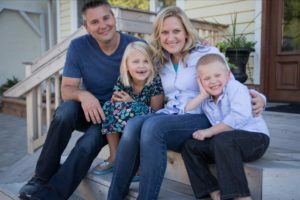 Corey and Andrea had a 2 ½-year-old daughter, Lynnea, and a son on the way. Andrea shares her story with us. We needed to move Lynnea to a new bedroom downstairs, farther away from us, and help her learn to sleep in a big-girl bed to free up the crib. We celebrated Lynnea often. We bought her a “Big Sister” T-Shirt, played with her in her new bedroom, and bought her a baby doll to play with. We read stories to Lynnea about becoming a big sister. Here are some of the books we read: Waiting for Baby, I’m a Big Sister, and So you’re going to be a… Big Sister. We used visuals (such as the “candle activity”) to explain to Lynnea how our family’s love would grow with the new baby! We involved her in helping care for Baby Brother Austin. She helped with bath time and getting his blanket, nuk, diaper or a burp rag. She loved helping! We set aside special time for Lynnea to be alone with us. This meant we said yes to others’ offers to help with Austin and asked for it when we needed it. This way we could give her times of undivided attention! We adjusted our expectations. Many times I had to remind myself that though Lynnea was a “big girl” and had been amazing through her transitions, she was still 2 ½ and needed lots of help and attention. By the time Austin was four months old, our dreams of sweet connection were beginning to become reality. “Let’s all kiss him together, Mom!” exclaimed Lynnea. Our whole family bent down to kiss little Austin. “He’s goo-ing at me, Mom, he’s goo-ing at me!” She beamed with joy. 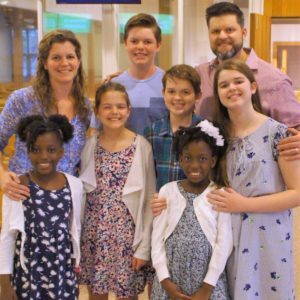 John and Jen recently welcomed sibling girls (ages 7 and 9) into their family through adoption. Much of what they did to prepare their four older children is similar to how a family would welcome any sibling, but there were certainly some differences. Jen shared her story with us. We were excited about growing our family through adoption but knew that could present some challenges for our biological kids. We wanted them to be prepared for the potentially difficult transition so we tried to be as open and proactive as possible before the girls came home. Children who join families through adoption frequently have experienced some type of trauma. This could be the trauma of being separated from their first family, trauma from physical or psychological abuse, or trauma from leaving the only country and culture they’ve ever known. Sometimes just a new environment (even though it’s a loving environment) and being surrounded by a lot of unfamiliar places, people, smells and sounds can cause trauma. Because of this, brains of adoptive-children are often wired differently than those of non-adoptive-children. After reading numerous books on the topic, and taking more than one recommended webinar about preparing siblings for adoption, we did our best to explain to our four older children (ages 10 to 16) what might happen when their new little sisters arrived. We tried to prepare them for some of the challenges we would face as a family. There would be language barriers to work through, anxiety and fear about being in a new family, and much much more. We encouraged empathy by having the kids imagine how it must feel to be plucked from another environment and dropped into a new one where you weren’t used to the weather (arriving in Minnesota in mid-winter! ), had left your friends behind, and probably felt anxious about so many changes. During meals, we made an effort to have them think about what it would be like to sit around a table with people you didn’t know who were speaking a language you didn’t understand, and being asked to eat food you’d never tasted. Several of us even studied the language of our daughters to help ease the transition. Without downplaying their feelings or minimizing their frustrations, we would ask each of the kids how they were feeling about everything. This not only created open lines of communication, but it encouraged us to carve out time to spend with the older kids to make sure everyone was doing alright. We tried to explain how the girls’ brains were wired in a particular way due to their early life experiences, and that we needed to parent them differently than the way they had been raised. This helped the older kids understand why we responded to some of the girls’ behaviors using an attachment or therapeutic parenting approach. We looked for opportunities to affirm the older kids efforts to make the girls feel welcome. After their new sisters were in bed we often would spend time watching a favorite show on TV. One of our daughters who was struggling with our “new normal” expressed a lot of interest in watching a lot of old home movies, so we did this whenever we had a chance. John and Jen with their growing crew. We messed up a lot, and it is still a struggle to continually make sure everyone feels loved and cared for. But through these mistakes, we are constantly reminded of the depth of God’s grace for us and how He loves us unconditionally…even when we mess up. Whether you add to your family through birth or adoption, it is important to prepare everyone for this huge change. But be prepared for failure. 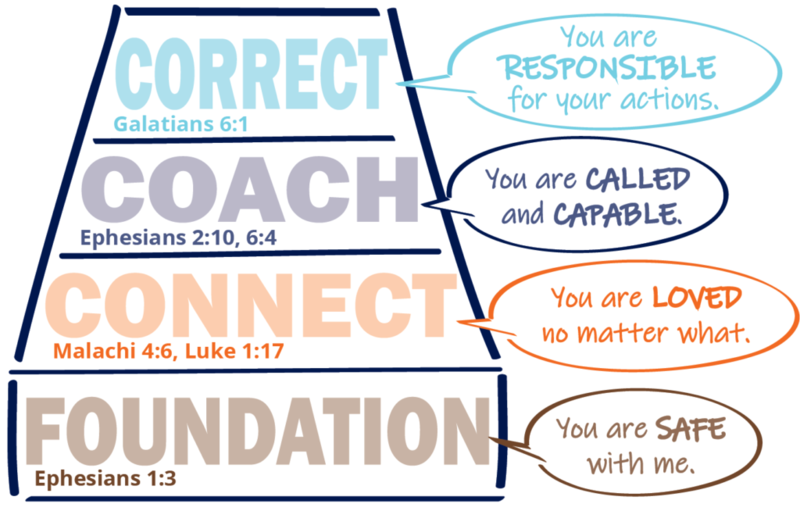 Leading with grace and empathy means giving these things freely to everyone in your family…including yourself! You will never get everything “right,” and even if you could, you may have a sensitive or intense child that really struggles with this kind of transition more than you expect. They’re not being selfish, this child simply needs you in a deeper way, and will require more patience and time to adjust. When you make the effort to connect well with each child during a stressful time, it can reap lifelong benefit! In our online course Sibling Conflict: From Bickering to Bonding we teach parents how to lay a foundation so sibling relationships will thrive. Learning conflict resolution early will help children in all their future relationships. Join us today!